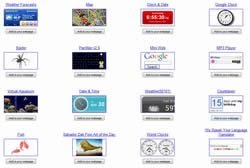 Web 2 comes with extensive use of javasript technologies. They make web more eye catching, more clearly organized and, in some cases, even faster. There are many implementation of “motools tabs” (just search in Google). There are many Joomla! extensions, plugins and modules, that uses them. You do not need these specialized extensions. Jumi can do that too. Can insert tabs in Joomla anywhere. And it is really simple. Let’s take for example SimpleTabs implementation. A + B: The code. $document->addCustomTag(...); // for initialization script – see SimpleTabs developer pages. Documentation to document object with examples can be found here. The whole php script implementing SimpleTabs into Joomla! represents some 15 lines of uncompressed code. Easy, isn't it? Why to bother about specialized extensions? The result depends on your SimpleTabs.css file. It could be like image on the right. Everybody knows there are thousands of gadgets there. Some of them are nice another are useful. But how to include them into Joomla! pages? With Jumi it is easy: you can display them in module positions, in articles or you can dsiplay them in a special gadgets (component) page. See Edo’s Tip and trick how to do that exactly. Well, most of us sell something. And majority of us, Joomla! people, through our webs. If we are selling products in huge amounts we can make use of specialized components like Virtuemart. If we are selling services in “tons” we can make use of Freeway solution. But many of us sell only several items of our products or services per month. I do not think it is effective to implement huge and sophisticated solution like those mentioned above in this case. Simple, reliable and elegant solution will suffice. 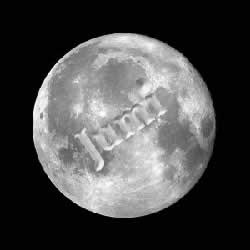 It can be done with Jumi. That means the component application knows the product ordered ($article->id is stored in $_POST[product_id] global variable) and can continue in the ordering process (e.g. display the article name ($article->title), introtext or the whole text, display a form for picking up personal data, etc, etc). At the end the order can be stored in the database table and/or send by e-mail for further human processing. Simple, reliable, elegant. With Jumi. There are a lot of global and local providers offering ads to be displayed at your web pages. Either as a paid or as an exchange service. You know them well: Google, AdBrite, Amazon, …, to name the few. They provide you with some scripts. The problem is how to include such a script into Joomla! page? First decide where you want ads to be displayed: module position, article or a special page with one advertisement or full of ads? For this purpose choose Jumi module, plugin or component respectively. See Edo’s Tip and trick Google example how to do that exactly. 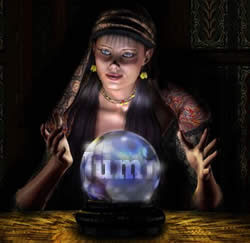 Once you understand the idea you will be able to process any ad from any provider. Edo (Edvard) and me (Martin) agreed on 2008-08-08 we will join several of our opensource codes, some of our resources and effort for mutual benefit and for the benefit of Joomla! users. We will be developing, offering and supporting custom code Joomla! 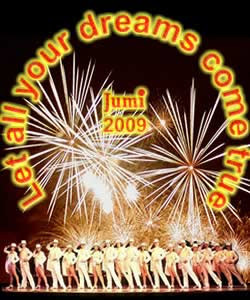 extensions under the brand name Jumi. What are these extensions for? Generally speaking: they enable to insert custom codes like html, php, js, css into Joomla! pages. That means into Joomla! articles, module positions and into specially created pages – components. At this time we have wide range of such extensions available: module and plugin for Joomla 1.0.x and module, plugin and component for Jooma! 1.5.x. Although they can be used independently of each other they can collaborate. We will strive for their better integration and cooperation in the near future. Stay connected! 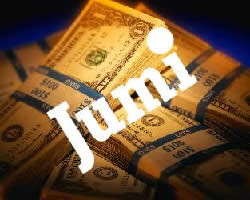 In this blog you will find concrete problems and indications how to solve them with Jumi. Some of them are explained in more detail in Edo’s Tips and tricks, some useful snippets (or Jumi applications) can be even downloaded there too. We hope you will not only enjoy Jumi but also that Jumi will bring you eyes, information and users catching storm to your Joomla! pages. This component includes custom scripts (html, php, js, css, ...) into Joomla! pages. Collaboration between multiple Joomla! pages and other Jumi extensions is easy.